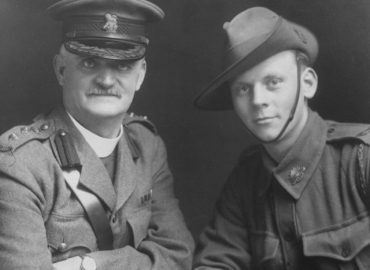 The young Rev John Flynn, who is commemorated on the $20 note – the founder of what is today Frontier Services – had worked in rural and remote areas of Victoria and was commissioned by the Presbyterian Church to look at the needs of Outback people. His report to the Presbyterian Assembly in 1912 resulted in the establishment of the Australian Inland Mission (AIM), of which he was appointed Superintendent. In the late 19th Century, the Christian churches in Australia became increasingly concerned for the welfare of people living in the Outback. The establishment of the Smith of Dunesk Mission based at Beltana in South Australia in 1894 enabled a series of Presbyterian Ministers to be sent to the areas north of Beltana; they also established a nursing service at Oodnadatta in 1907. John Flynn was born at Moliagul in central Victoria in 1880 and after a stint teaching, served as a Home Missionary at Beech Forest and Buchan in rural Victoria between 1903 and 1906. In 1902 a Methodist Minister the Rev Alfred Thomas Holden, ‘Colonel Holden’ returned from the Boer War where he had served as an Army Chaplain. In 1904 he became Secretary of Methodist Home Missions which serviced remote rural congregations across Victoria. He was to continue in that role until 1916 when he served for 3 years as Methodist Chaplain General during WW1 serving two terms on the Western Front. He was awarded a CBE in June 1919 for his service to King and Country. By 1910 John Flynn who was now in his 3rd year at theological college had written ‘The Bushman’s Companion’ a comprehensive guide for those living in the bush, remote from education, legal and medical support. It contained prayers, instructions on how to write a Will and how to set a sling for a broken arm. For John Flynn every aspect of a person’s life was equally important to and of interest to God. Ordained in early 1911 he was sent to the Smith of Dunesk Mission at Beltana in South Australia. 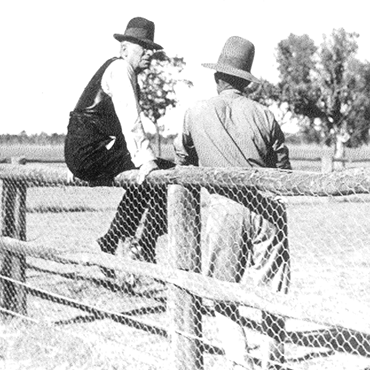 While he was there the Presbyterian Church commissioned him to look at the needs of Outback people. 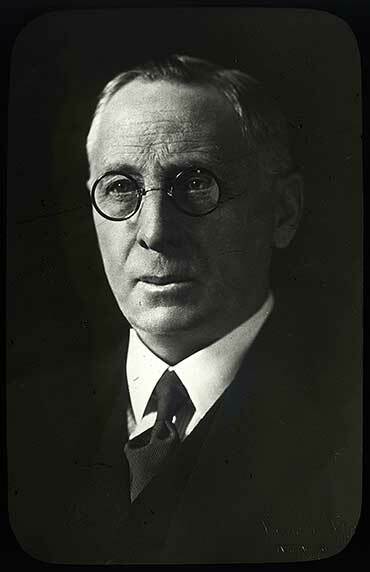 His report to the Presbyterian General Assembly in Melbourne on 26 September 1912 resulted in the establishment of the Australian Inland Mission (AIM) with Rev John Flynn appointed as its first Superintendent. He had a vision to establish a “mantle of safety” so people could build sustainable communities despite the hardships of Outback life. The first AIM “Patrol Padres” went out in 1913 by camel and horse from Pine Creek, Beltana, Broome and Port Hedland to provide pastoral care and counseling services to people on isolated properties, small communities and mining sites. Hand in hand with these patrols was the need for medical services and Flynn established nursing clinics in iconic places like Alice Springs, Innaminka & Birdsville. Nursing Sisters travelled by camel, horse, rail and even motor tricycle. Two year terms and two nurses to a clinic was the normal practice. Flynn believed improved communications especially between properties and the AIM nursing clinics were another way to overcome Outback isolation. With his encouragement, the pedal wireless invented by Alf Traeger in 1926 featured an easy to operate generator operated by pedal power similar to a bicycle. John Flynn also dreamed of using aircraft to enable medical support to be more easily available. In 1928, he established the Aerial Medical Service which in 1938 became a separate organisation called the Flying Doctor Service. It became the Royal Flying Doctor Service during the Queen’s visit in 1954. On 31 May 1926 the General Conference of the Methodist Church meeting in Brisbane established the Federal Methodist Inland Mission (FMIM) with Rev AT ‘Colonel’ Holden as its first Director. The Conference Appendix Minutes state that they will ‘work together’ with those who are already engaged in this important work. i.e. with the AIM. In the 1920’s such cooperation across the denominations was very rare, with people rarely fraternising with those outside ‘their religion’. Because working and living in remote Australia was so different to anywhere else, Flynn & Holden believed that a radical new approach was needed if the AIM and the FMIM were both to be engaged meaningfully and productively in this work across remote Australia. The people of the Outback by and large weren’t interested in what denomination you may be but rather whether the support you can give will make a difference to their daily lives. They agreed that where one organisation provided a Patrol Padre in a particular place that the other would if possible establish a nursing clinic and visa-versa. In 1932, Holden attended the historic United Methodist Conference in England which instigated Methodist union there (it occurred in 1902 in Australia) speaking as an Australian representative at the Albert Hall. His passionate belief in ecumenism saw him receive the ‘Freedom of the City of London’ following his speech. 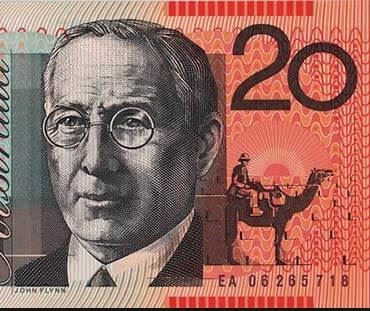 In June 1933 Flynn was awarded an OBE for his services to remote Australia and in 1966 his achievements were immortalised on the new $20 Bank Note. By the beginning of WW2 the AIM had 64 pedal wireless sets across their network of nine hospitals, seven Patrol Padres, eight shared Mission and Welfare Centres and three Aerial Medical Service bases; by then the Methodist Inland Mission had a similar number of Patrols but fewer nursing clinics. Following a short illness Colonel Holden died aged 68 on 20 August 1935 two months after the death of his wife Martha. Three of their 5 children survived them. A son Norman was killed in France in 1918. Rev TC Rentoul became the new FMIM Director and he served in that role until his death in 1945. In 1949 the AIM opened its first age care facility ‘Old Timers’ in Alice Springs. John Flynn who married Jean Baird in 1932 died aged 70 on 5 May 1951 and the Rev Fred McKay was appointed Superintendent of the AIM, a role he served in until January 1974. Flynn & Holden’s vision for Outback people continues to be implemented today. On 22 June 1977 the formation of the Uniting Church in Australia saw the complete coming together of the AIM & FMIM and the outback work of the Congregational Church into what has since then been called Frontier Services. Flynn’s vision for Outback people continues to be implemented today through Frontier Services. It is still the welcome visitor, the friend, the counsellor and advocate for the people of remote Australia. You can make a difference for the people of remote Australia in helping Frontier Services continue to deliver Flynn’s vision of a ‘Mantle of Safety’. Give the gift of hope today by donating to help those people doing it tough out bush.